What would you like today? Do you want to see an exciting play with Punch as the main character or buy fresh fruit from the huge range of toyshop goods? 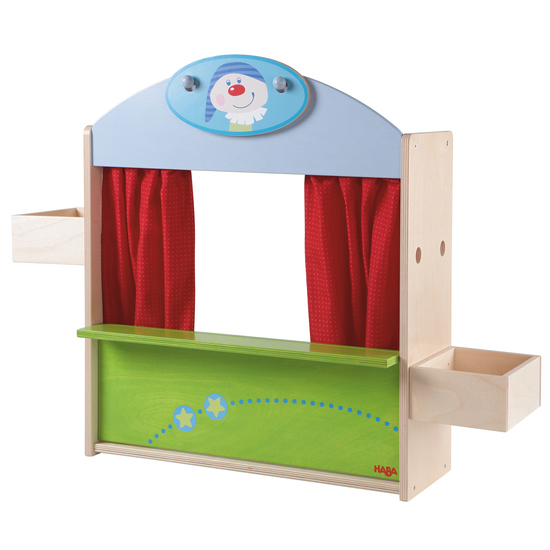 It can be both, as the puppet theatre with a few simple touches converts into a toyshop! In this way children can enjoy even more variety in their role-play.